I know it is almost officially Spring, but sometimes those cold weather days hang around leaving you hankering for some comfort food. 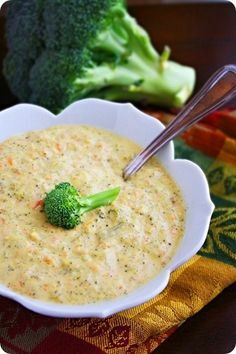 This broccoli cheddar soup is a great solution. This delicious recipe can be found over at The Comfort Of Cooking. Get a yummy bread bowl and you’ll be in comfort food heaven!